First off I would like to apologize for not saying anything on the new iPad. Just by the time I could post everything you could have read it on 20 different sites and I didn’t have the time. However I was able to pre order mine so I can get it on launch day! It seems that if you order the iPad now no matter what model you will not get on on the 16th you will get it after the 19th. All though it is only 3 days later the iPads that are supposed to arrive on launch day most of them have already been shipped. 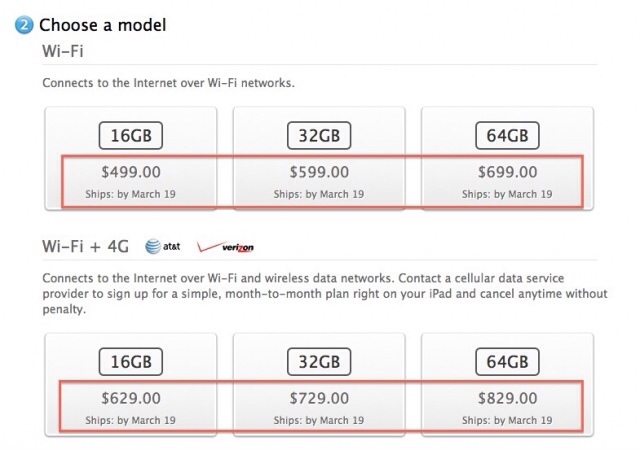 The new iPad was sold out of pre-orders for at least AT&T in the first day of sales. Or few hours for that matter. Hopefully you got your iPad pre-order in so you can get it on launch day. I know I did. Good luck for all of you who are going to be trying to get into the retail store to get your hands on the newest best iPad yet. Tomorrow is the big day for the iPad. I have compiled a video for all of you to let you listen to what you can expect tomorrow instead of reading a long list! Tomorrow I will not be able to cover the entire event but I will be trying to have a little bit of posts going. Then when I get home a video will be up on all the information. I will be trying to post on my twitter (@matthewjagiela @apples_genius). If you want great live coverage here are some sites I recommend: iMore, 9to5mac, Cult Of Mac, BGR. This is interesting. We are days away from the iPad 3 announcement and let me tell you everyone seems to be excited on what is going to be released or what isn’t. 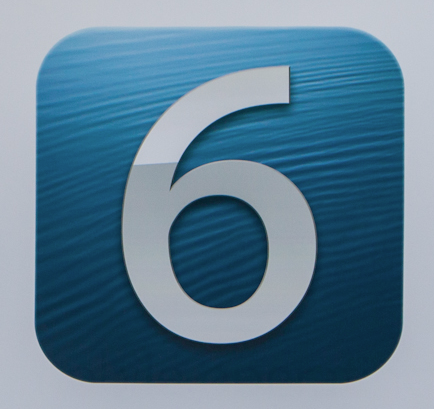 One thing that Apple has that they won’t show us is iPad 3s running iOS 6. According to some websites they have seen visits from a number of retina display iPad 3s running iOS 6.
iOS 6 of course has nothing around it and I can say we won’t see it on Wednesday. 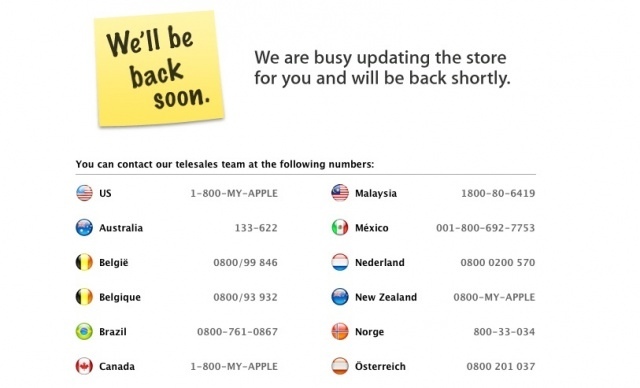 We are more likely too see it closer to the announcement of the iPhone 5 if anything. It is kind of interesting how early they are using the new iOS given this is actually accurate. 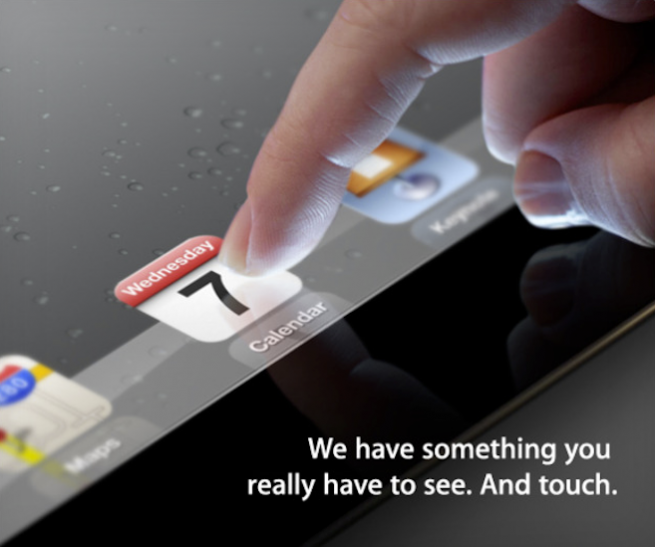 Apple unveiling next iPad Wednesday! The text “you really have to see” seems to confirm the rumor of the retina dispay. As you also can see from the close up if the device is in portrait there is no home button. Can this mean we are getting rid of the home button that has been with us from the original iPhone in 2007? Apple sent the invites on purpose when Eric Schmidt was delivering his Google Keynote talk at Mobile World Congress in Spain. The next iPad is rumored to be having a A5X chip to handle the upgraded display and maybe some other goodies. I will have a rumor video up later before the keynote discussing some of the rumors and maybe a live show. I won’t be able to cover the announcement.